Reopening last year, regulars were glad to see that the Sun Tavern retained its pub atmosphere, blurring the line between pub and cocktail bar. The biggest perk of the venue is its morning opening, serving pastries and coffee, and pub grub throughout the day (alongside its Neal’s Yard sourced charcuterie). And this is all alongside its selection of craft beers and Irish Poitin (a pretty large collection considering it only being legalised about 3 years ago). Small, with bare brick, a sizable bar, and a fantastic playlist from Zeppelin, to Ram Jam, to the Talking Heads – the Sun Tavern is your local boozer with quiet confidence in its skill and product. And confident they should be – the cocktails are incredible. 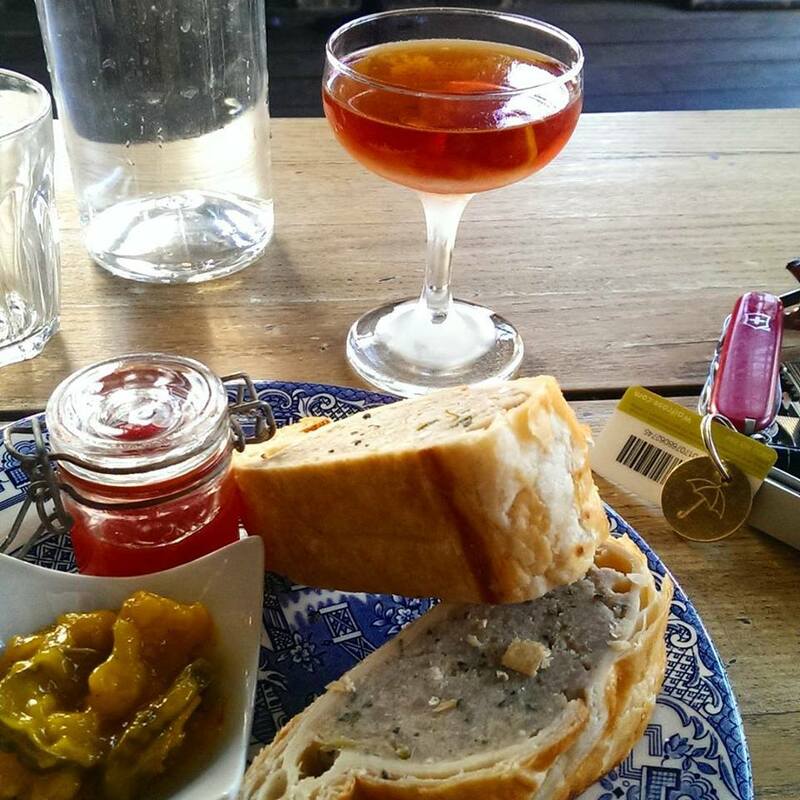 Beginning with a sausage and stilton roll, the Hoodooist orders a One For the Road: Irish Whiskey, Peated Irish Whiskey, English Spiced Vermouth, Amaro Montenegro. Such a beautiful cocktail – the initial hit is of the Amaro’s rosewater, quickly retreating into the whiskey, with a quick buildup of peat, smoking its way in. Once that smoky wave subsides, spices come forth from the Amaro and vermouth (which I’m going to guess is by Sacred Distilleries, with its hints of liquorice and cinnamon). The cocktail, though peaty, is very light, and works well in the daytime. 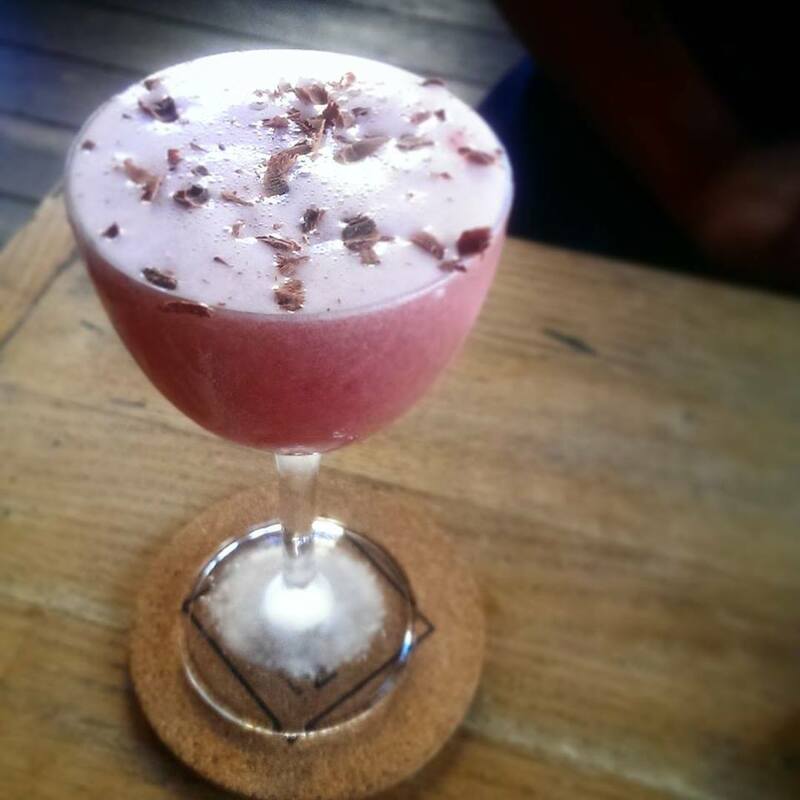 The Red Lombriz wanders into sweeter territory: Mezcal, Raspberries, Agave Syrup, Lemon, Chocolate Bitters. Pink and dusted with chocolate shavings, it’s certainly a looker – citrus and sweet dominate the drink, with agave syrup’s unique flavour working surprisingly well with raspberries. The chocolate bitters do a great job at rounding out the drink. Back to whiskey, the Fleur de Lis brings Irish Double Whiskey, Cognac, Cynar, Lime, and Pecan Syrup together to make a slightly thick, and laid back kicker of drink. I find this one difficult to describe. It somehow manages a distinct citrus to it even while bringing the whiskey’s butterscotch sweetness – suspect the whiskey might be a Glendalough? The cognac grants a depth and warmth to it, probably enhanced by the pecan. 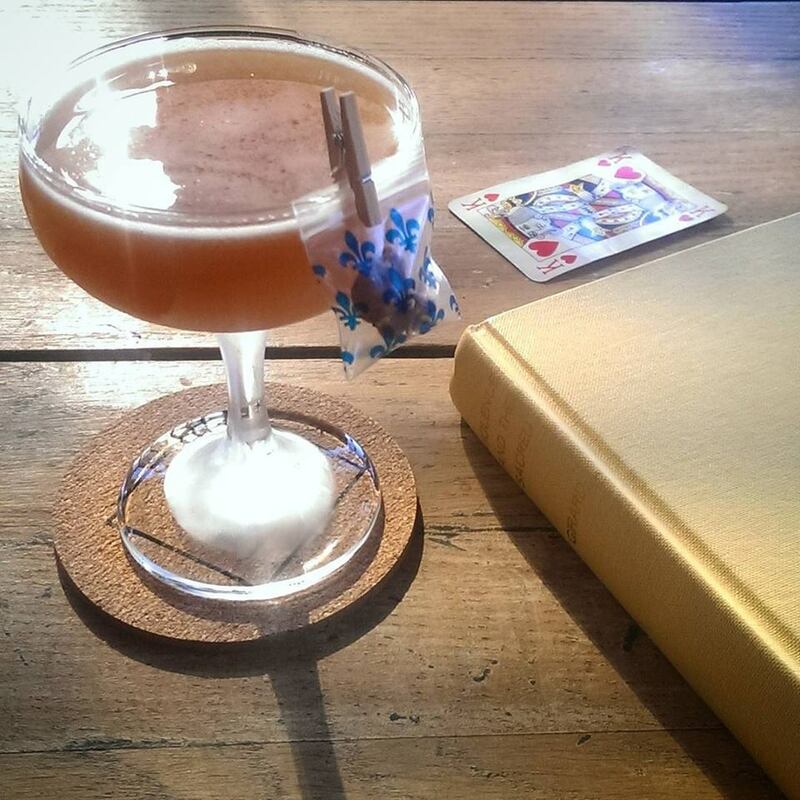 The Cynar being a Hoodooist favourite helps provide balance to the sweetness. 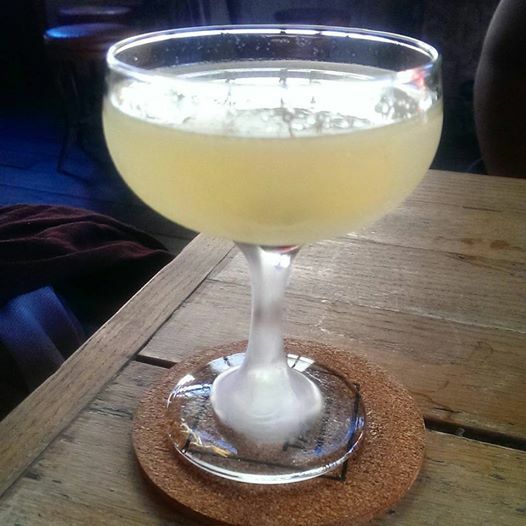 Finally, The Wake: 3yr Guyanese rum, Suze, Overproof Poitin, Lemon – Of course, the overproof Poitin bit is fascinating, as it can run well into the 90% ABV. The nose is loud, sour, and almost like sand after rain – not soil, not earth, sand. The 3 yr rum, which I’m gonna hazard a guess at El Dorado 3yr, provides a coconut and hay flavour, and dry – harmonises well with the Suze’s bitter gentian. That drop of Poitin is what, I suspect, adds to the dry, grassy, white rum flavours. Long, dry, citrus, bitter – the cherry at the end is a major contrast, and seems to soak up the Poitin like a shot because wow it’s a kick in the teeth. It was difficult to keep up with the One for the Road (or even the Fleur de Lis), but the short cocktail list manages to be incredibly original, hard-hitting, exquisitely prepared and a bargain. Service is exceptionally swift, whether at bar or table. The Sun Tavern’s easily the Hoodooist’s favourite new spot in Bethnal Green. This entry was posted in Bars & Cocktails and tagged Date, Lounge, Poitin, Pub, Small Groups, Sundays, Whiskey, Whisky. ← The Summer of Twin Peaks!